He’s been called an Indiana Jones of the spirit. In his first book, In Search of Simplicity, released in the Far North in 2009, local author John Haines chronicled his exciting, serendipitous journey around the world in search of the meaning of life. 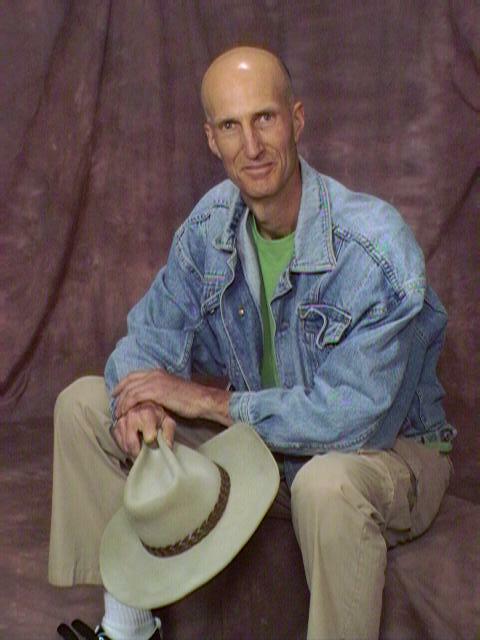 Inspired especially by the simple living villagers of the Trobriand Islands in Papua New Guinea and by the Hunzas in their Shangri La-like mountain stronghold at the top of the world in Northern Pakistan, Canadian-born John Haines followed a series of inexplicable messages to begin to live the ‘Good Life’ in the high deserts of Northern New Mexico, to a place he’d never been before. What he didn’t know at the time was that New Mexico was only one of many stops along a circuitous path that eventually brought him and his family to a somewhat more settled existence in the Far North. Unlike his first book, which could be called a spiritual travel adventure story, John Haines’ eagerly anticipated sequel is more of a spiritual gardening adventure than a travel saga. Beyond the Search chronicles the author’s profound experiences and experiments with Truth, simplicity, self-sufficiency and the Spirit of Nature in New Mexico, Arizona, New Zealand, Canada and the Netherlands. Although it is the sequel to In Search of Simplicity it is a complete volume in its own right. Beyond the Search describes in an enjoyable, easy-to-read style John and his growing family’s sometimes faltering attempts to live the dream; to live simply, nobly and in harmony with nature and each other; to live an unfettered life, unplugged from the grid and disconnected from all forms of media, while remaining connected to the messages coming from nature and within. It is a story of challenges and adventures—from rattlesnakes and a devastating hailstorm to an international gold mining company intent on developing an open pit mine literally on the other side of the fence—proving in this instance that an escape from the rat race is not always easy. Beyond the Search is a triumph of the spirit. It is an inspiration to anyone wishing to live a little more simply, a little healthier and more connected with nature and each other. As one New Zealand reviewer recently wrote, ‘Beyond the Search is a treasure trove for those who enjoy planting and reaping as it seems nature intended, with respect for each animal and insect as belonging on the planet and therefore deserving of honour.’ (Theresa Sjoquist on Suite 101) Like all life stories this one is not all a bed of roses. Haines shares with us how he overcame a battle with depression and the near loss of his marriage through perseverance and the will to make things work: naturally, of course! In Beyond the Search Haines challenges some of today’s popular assumptions, suggesting we’re not merely victims of the weather, but co-conspirators in its creation. And if you’re having trouble with possums, read this book. I say no more. John Haines lives today with his family in Coopers Beach. When he’s not writing he can be found on Doubtless Bay Family Radio or assisting patrons at the Kaitaia Public Library. His books are available in your local bookshop or by contacting the author directly at (09) 4060149. John is an inspiring speaker and is available for talks in the area. 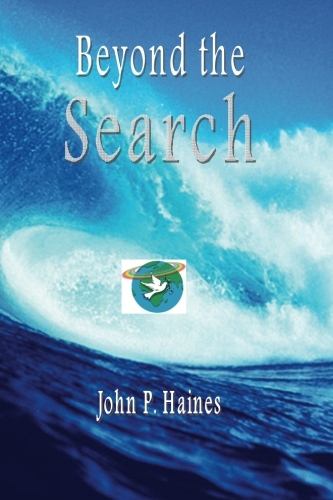 For more on John and his books visit www.insearchofsimplicity.com or www.johnhainesbooks.com.